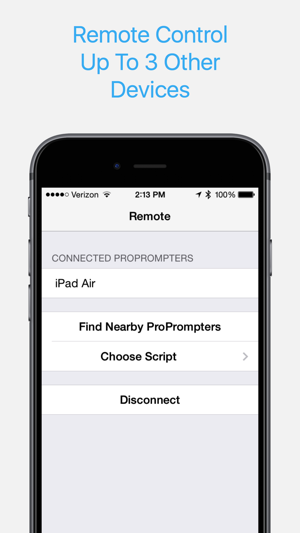 ProPrompter Studio features remote control for as many as three Apple iOS devices with a fourth IOS device as your remote control master. Other professional settings include a selection of fonts, font sizes, background colors, scroll speeds, mirroring, looping, landscape, portrait and automatic orientation modes, adjustable countdown, cue points for fast re-cueing, support for international language fonts, editing, direct script creation and a complete help menu. 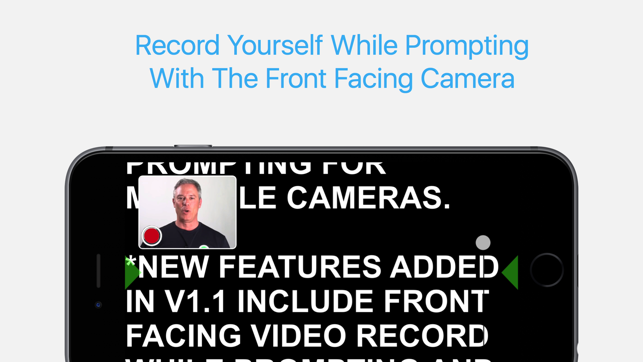 New v1.1 includes front facing video recording while prompting. 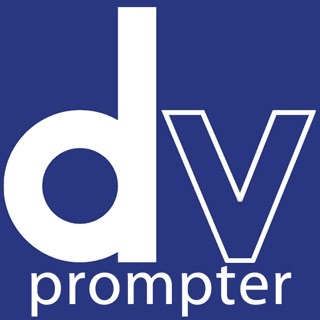 This is made specifically for use with ProPrompter Desktop® hardware. 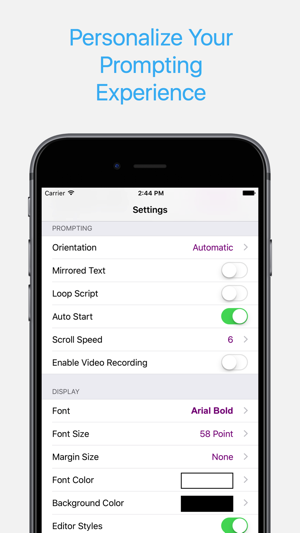 Scrolling is smooth and can be adjusted on-the-fly with scroll slider control. Readability is excellent even in bright sunlight. Perfect for podcasts, field reporting, corporate videos, commercials, steadicams, jib shots, music videos and live speeches. 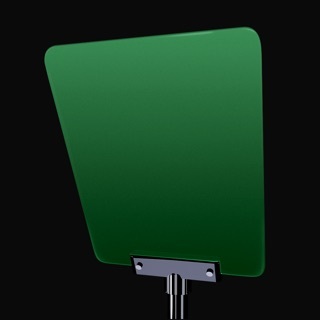 Made in Oregon by Bodelin Technologies, the creators of the award winning and highly mobile ProPrompter teleprompters. 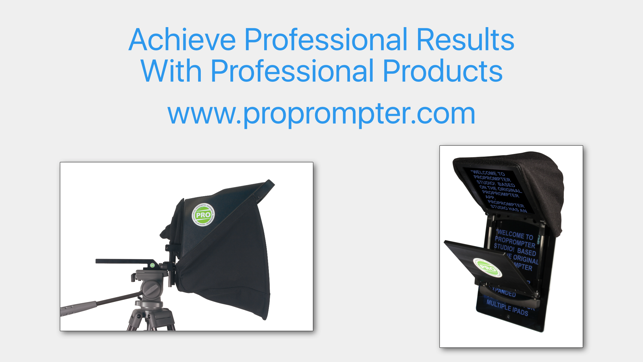 Bodelin created ProPrompter Studio with the highest regard to quality and full featured prompting capabilities to serve the tens of thousands of professional customers who depend upon it. - Remote Control up to three iOS devices running ProPrompter Studio from a fourth iOS device over Bluetooth, WiFi or peer to peer WiFi. 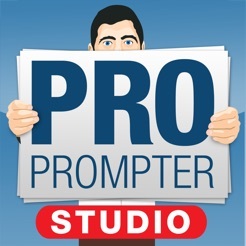 NOTE: All devices must be running iOS 7 (or later) and ProPrompter Studio. 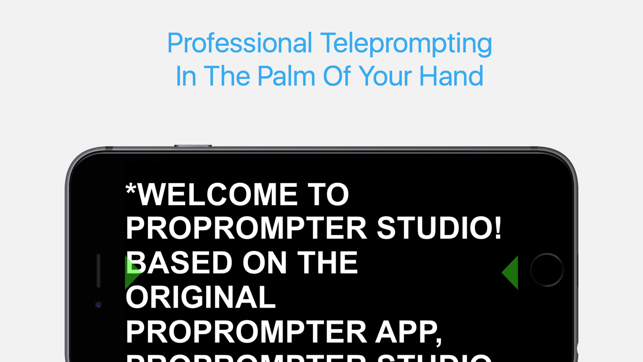 Multiple remote control does not interoperate with the original ProPrompter app. Peer to peer WiFi requires an AirDrop capable device. - Upload/Download scripts via email copy/paste or use our script manager site for those with no email. 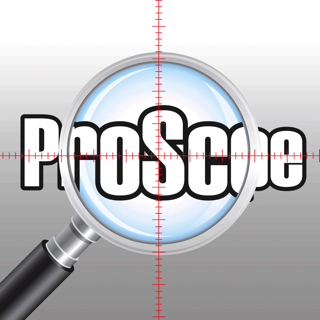 - NEW v1.1 feature includes front facing video record while prompting and adjustable margins, made specifically for use with ProPrompter Desktop® hardware. - All new configurable Cue Indicators. Change your preferred indicator style, color and opacity when prompting - or disable it entirely. - Bug fix for scripts in remote control mode going out of sync when not displaying a cue indicator. - Bug fix for camera orientation when running in forced Landscape or Portrait mode. - Updated to better support iOS9 layout styles on large screen devices. Needs to be able to scroll back! I started out with the free version and upgraded to this. Ive been using this version for probably 4 years now and updates are few and far between now, sadly. My only complaint with this is that, if I pause it mid flow and want to simply scroll it back a few lines to restart, I can’t do that, which is SO frustrating when on a professional shoot. To the dev team, PLEASE make this happen now and make this 90% great app 100% great! Only other bug is that it sometimes crashes and will lose any changes made since it was last shut down properly. I do love that I can sync it with multiple other devices to use as a remote, but that process could use a bit more attention - especially ensuring different sized screens are displaying identical content.